Balls of Fury is a fun and challenging app. 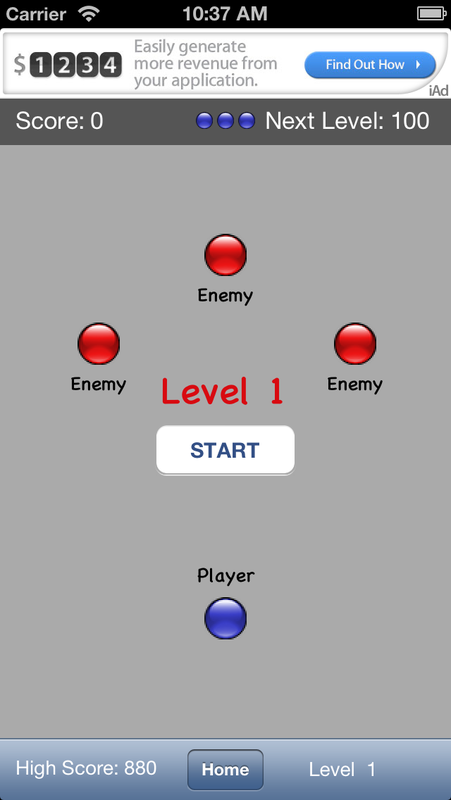 In this game you will control the blue ball avoiding collision with any red ball. 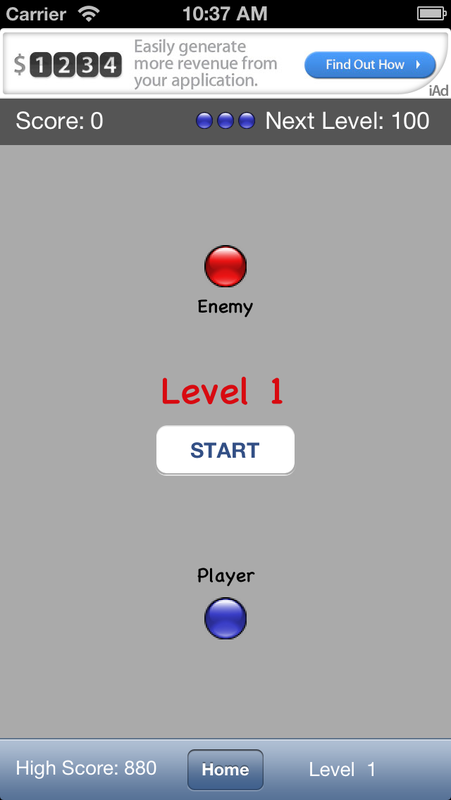 While dodging the red ball you will collect coins to advance to the next levels. 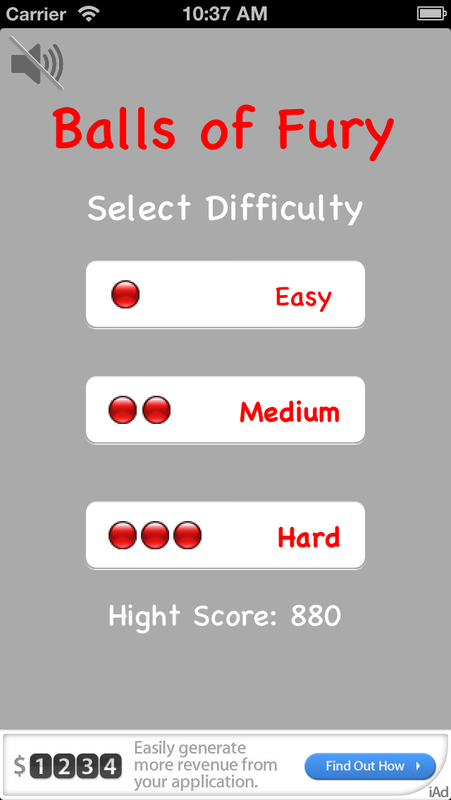 Each level increases the speeds of the red balls making the game more challenging. 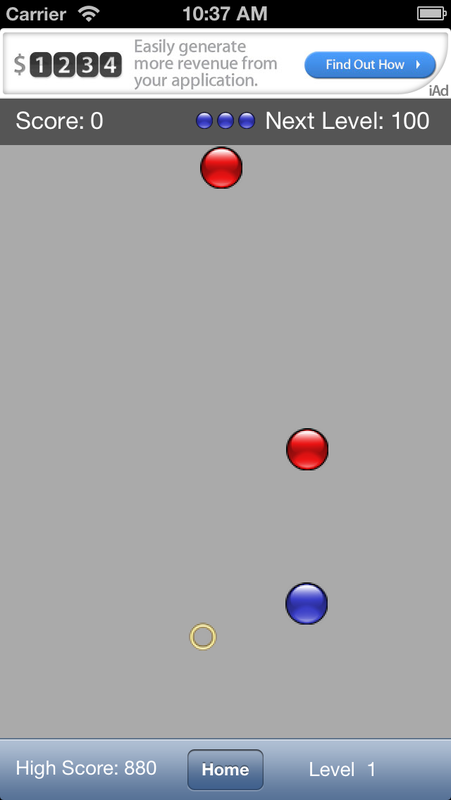 There are different levels of games, easy, medium, and hard with the games consisting of one, two, and three red balls (respectively). This ensures the game will be fun and challenging for all age groups.